Looking to sell a Kubota digger or excavator? Do you have a Kubota digger or Excavator for sale? If you have a Kubota digger for sale then look no further than Sell My Digger. Our name does as it says on the tin, offering sellers of top quality excavation machinery a fair price for their wares. 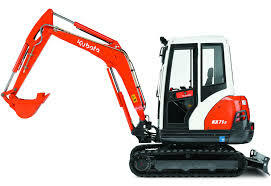 We can purchase any Kubota excavators for sale with cash, and can provide an online quote in a flash. 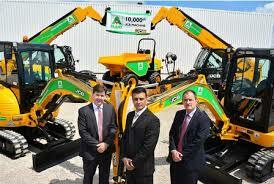 Kubota in the UK was formed in 1979 in Thame, Oxfordshire. Any UK excavator you have by this brand would most likely come from here, despite the Kubota Corporation having its roots firmly established in Osaka, Japan. Across the world, this power equipment giant has been innovating machinery like tractors, diggers and excavators for over 100 years. This brand is one of the largest manufacturers of diesel engines under 100 HP in the whole world. Not only a world leader in compact tractors and ride on mowers, Kubota are also innovators in the excavation and digging equipment industry. With a range of mini diggers and excavators to suit many different construction objectives, we’re always keen to take a look at any Kubota machinery products for sale. With an anti-theft security system plus new eco-plus machinery, which is conscious of fuel and environmental impact, Kubota create cutting edge diggers we buy for a fair price. If you are looking to sell your Kubota machinery, whether you have a mini digger or larger excavator you no longer need, be sure to get in touch with us via our contact page. By simply providing ups with a few details about your machine, we can give you a quick comprehensive quote, letting you know exactly how much we can pay for your digger in cash. Quotes often take no longer than 48 hours to process, so you could be replacing your Kubota machinery with cold hard cash in no time. Simply fill in the Request a Valuation form now and we’ll be straight in touch to value your Kubota Digger or Excavator!